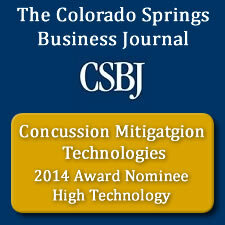 Concussion Mitigation Technologies, LLC, was founded in 2011 and is located in Colorado Springs, Colorado. The company was founded on the premise that higher technology is readily available to protect the brain in endeavors such as athletics and the military. The cornerstone of our company is U.S. Patent 8, 127, 373. Our patent and developing technology integrates a microcomputer within a helmet. Accompanying this microcomputer is software and databases that are use to control miniature air bags within the protective helmet. These air bags will fire off in correspondence to the predictive movement of the brain. This intelligent response, a Smart helmet, will allow for more precise dampening and dispersion of forces, and reduce the concussive effects on the brain. In 2009 Mr. Fodemski witnessed an on field concussion in a football game and wondered if there could be higher technology placed within the helmet to reduce concussions. It started with a sketch, then another, and another, which lead to a patent application and eventual patent award. Along the way he built some early prototypes, and electronically bread boarded and assembled various helmet configurations in his garage. This has led to five more patents pending in protective helmet technology. It is his belief -and that of the company- that off the shelf technology is available today to integrate within the helmet – and more can be done now to protect our youth and U.S. Military. After sketching the rough idea of airbags inflating in opposite directions of the impact, and the rough outline of the concept of having an analog to digital converter, and microprocessor installed within the helmet, it was time to go into mod details. It didn’t stop with the thought of miniature airbags inflating in corresponded to on the magnitude of the impulse. The system needed to include a battery powered processor. Also the entire core of the helmet needs to be removable and replaceable within seconds. Since player and soldiers do not only play and work while the sun is shining it had to be weatherproofed and lightweight. Back in 2010, Mr. Fodemski’s sketched his first system block diagram, that depicts the relationship between the sensors, analog to digital conversion, and the airbags. In this nanative and sketch, it is first stated that the entire system is software programmable, that the stem will have multiple firing cycles, and have a method to vent the expended pressurized gas. Officially the company, Concussion Mitigation Technologies, LLC, was founded in 2011 and is located in Colorado Springs, Colorado. The idea behind the company was built on the premise that higher technology is readily available to protect the brain in endeavors such as athletics and the military. The cornerstone of our company is U.S. Patent 8,127,373. Our patent and developing technology integrates a microcomputer within a helmet. Accompanying this microcomputer is software and databases that are used to control miniature air bags within the protective helmet. These air bags will fire off in correspondence to the predictive movement of the brain. This intelligent response, a Smart helmet®, will allow for more precise dampening and dispersion of forces, and reduce the concussive effects on the brain.